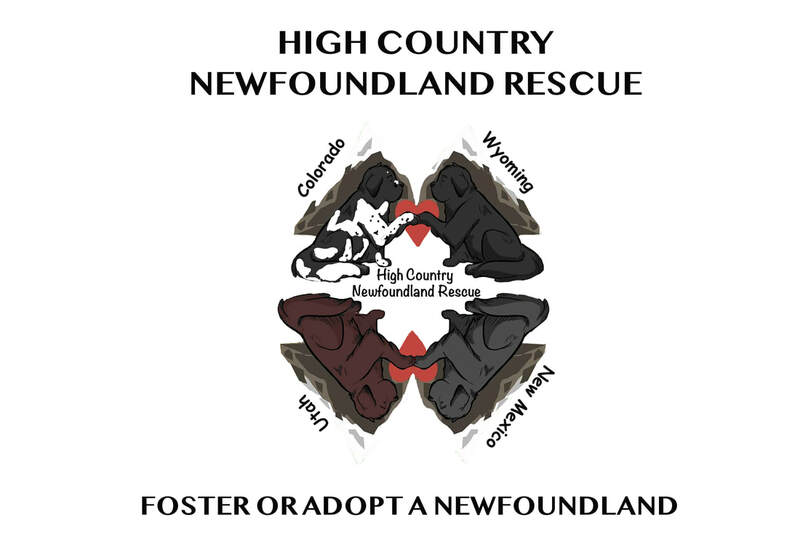 High Country Newfoundland Rescue (HCNR) is a non-profit, foster-home based rescue group for Newfoundland dogs in Colorado, New Mexico, Utah and Wyoming. HCNR has a strong network to find safe and healthy homes for surrendered and abandoned Newfoundlands in our region. Newfoundlands coming into HCNR are spayed/neutered, provided veterinary care as needed, evaluated for special needs and temperament and are placed into foster homes that have been carefully screened. Potential adopters of our Newfs are encouraged to fill out an application to be screened and evaluated. HCNR maintains a list of approved adopters. It may take time to adopt a Newf, because approved adoptive families are carefully matched to the Newfoundland(s) to ensure a successful placement. Donations to the High Country Newfoundland Rescue Fund are gratefully accepted. Thank you for your generous support for our programs to assist Newfoundlands.